Erik Gordon Bainbridge is a MAPOM director and a Kule Loklo volunteer who also builds virtual worlds and teaches community education classes in Marin County. 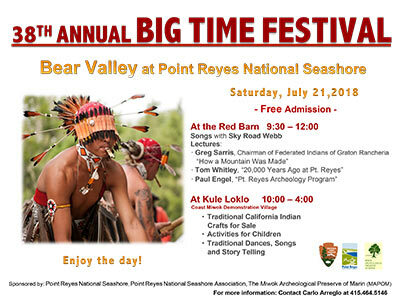 The annual Big Time Festival will be held on July 21, 2018 at the demonstration Coast Miwok Indian village at Bear Valley in Point Reyes National Seashore. As usual, it will feature traditional dancing, songs, and storytelling as well as crafts for sale and activities for children. The festival will be from 10am to 4pm. Paul Engel, discussing the Point Reyes Archeology Program. The Red Barn session will be from 9:30am to noon. You can see archival photos of dancing from some previous Kule Loklo Big Times at kuleloklo.com/photos.html. For more information, contact Carlo Arreglo at 415.464.5146. Sky Road Webb and Alicia Retes perform at the 2015 Kule Loklo Big Time. Kule Loklo’s annual Big Time festival will be this coming Saturday, July 16, 2016. As usual, it will feature several Pomo dance groups, skills demonstrators, and vendors. It will run from 10am to 4pm. There are no food facilities on site, so bring a lunch. Vincent Medina (Chochenyo Ohlone) will focus on his work at Mission Dolores in San Francisco. He will focus on a more accurate story of missionization and highlight the Indian resistance and perseverance into the present day. He will discuss his opposition to the canonization of Junipero Serra, and his role during the 2015 Papal Mass. 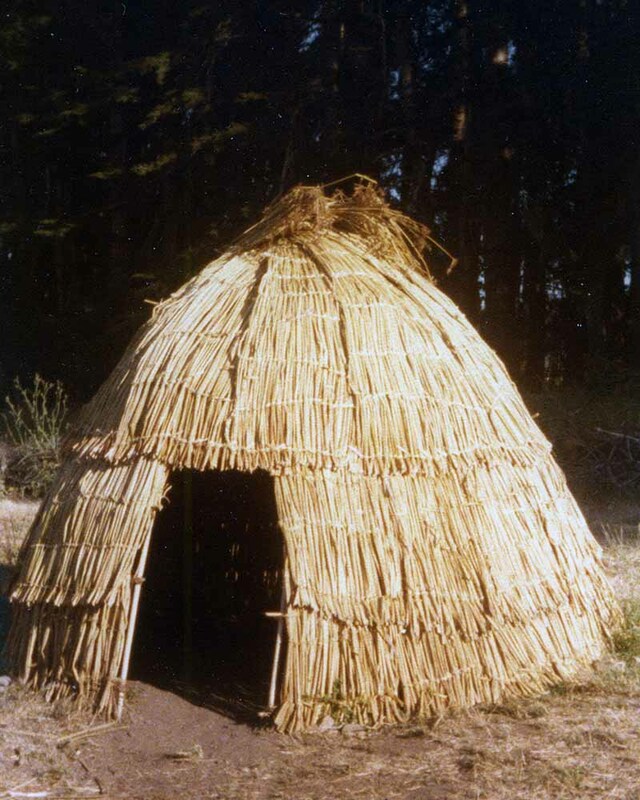 Tsim Schneider (UC Santa Cruz and Federated Indians of Graton Rancheria) and Lee Panich (Santa Clara University) will discuss the interactions between colonial programs and the native people of Marin and Sonoma counties. 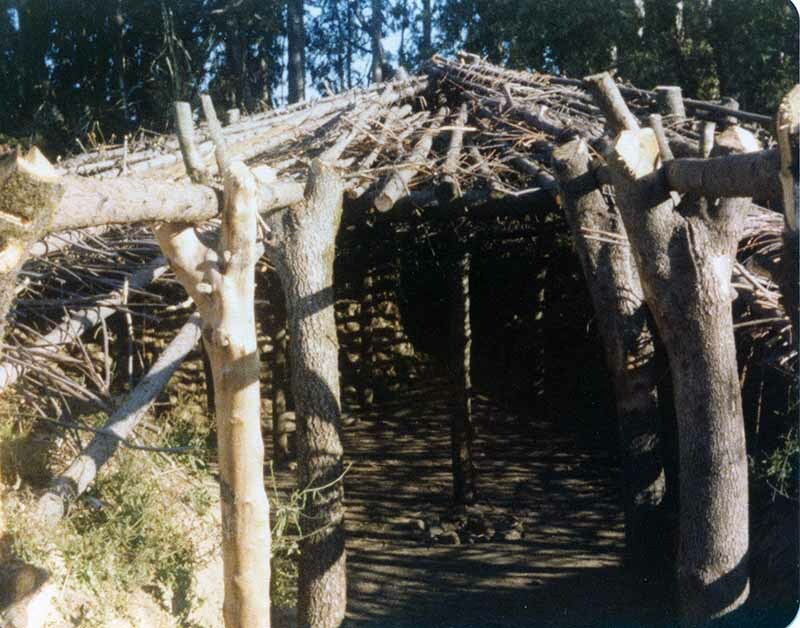 They will also present recent discoveries from their continuing archaeological research at Tomales Bay examining a community of Coast Miwok and others formed after the missions. Peter Nelson (Coast Miwok) will discuss the cultural and natural resources in Tolay Lake Regional Park and how the Federated Indians of Graton Rancheria and the Sonoma County Regional Parks Department work together to develop and manage these park lands. He will describe new technologies and non-invasive methods of research to learn about and protect cultural resources. Olivia Chilcote (Luiseno) will review the politics of Federal recognition in California and what it takes for a tribe to be recognized. She will talk about the history of the process in California and the implications to non recognized tribes that are not granted the same rights as their federally recognized counterparts. The registration fee is $49. You can registerat the door or online. This is part of MAPOM’s College of Marin series of classes that can lead to a certificate in California Indian Studies. 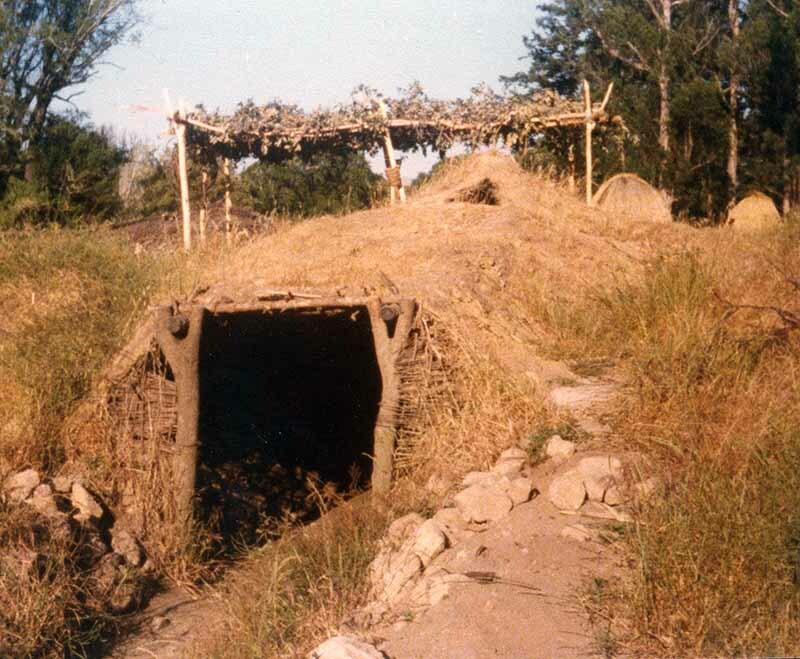 This week I was going through photographs taken by my late mother, Peggy Williams, and discovered three photographs of Kule Loklo that she took in 1978 of the original roundhouse under construction, a tule kotcha, and the sweat house. The roundhouse shown in this picture was replaced in 1992 by the current roundhouse. You can enlarge each photo by clicking it. Enlarging the sweathouse photo, you can see behind the sweathouse the roundhouse roof on the left and tule kotchas on the right. 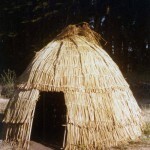 Kule Loklo was created by MAPOM and the Park Service in Point Reyes National Seashore in the 1970s. The annual Big Time festival in July of each year features Pomo and Miwok dancing as well as vendors and traditional skills demonstrators. You can see photographs of Kule Loklo at kuleloklo.com. 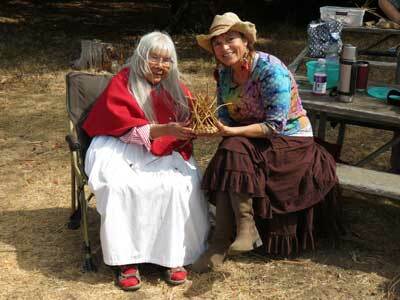 Along with family members, Julia Parker will be offering her annual MAPOM Basketweaving Class on Saturday and Sunday, September 19-20, 2015 at Kule Loklo in the Point Reyes National Seashore. Enrollment is already filling in and should you wish to experience a true national treasure, call College of Marin at 415-485-9305 to reserve a spot. 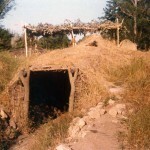 The deeper value in this connection lies with the opportunity to learn from a wisdom keeper who maintains her people’s spiritual relationship with the land. As expressed in the book written about Julia entitled “Scrape the Willow until It Sings,” her words speak for themselves. 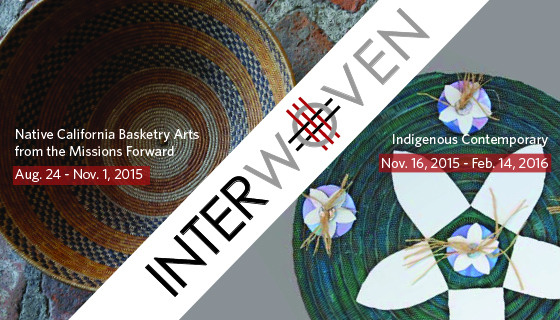 A collection of outstanding California Indian baskets drawn primarily from mission collections will be on display from August 24,2015 to to November 1, 2015 in the Thacher Gallery’s Interwoven: Native California Basketry Arts from the Missions Forward. The focus is on baskets made from the mission era through the early 20th century. 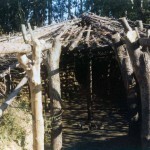 You can learn more at web.usfca.edu/library/thacher/exhibitions/interwovenbasketryarts or by clicking the picture. 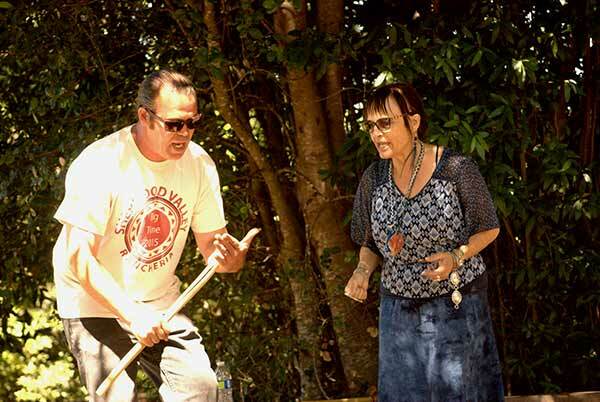 The next class in MAPOM’s California Indian Studies certificate program at College of Marin is a lecture class, NATIVE AMERICANS: PAST, PRESENT AND FUTURE, on July 18 during Kule Loklo’s Big Time festival. Malcolm Margolin, publisher of News From Native California and founder of Heyday Books, will focus on the past, sharing stories of what he’s learned in his forty years of “deep hanging out” in Indian country. He will discuss ancient traditions, values, and knowledge as reflected in people he’s known, how much of it is still alive, and what it has to teach us. Lindsie Bear (Cherokee), editor of News from Native California and director of Heyday Book’s Indian Programs (The Heyday Roundhouse), will discuss the present. As editor of News from Native California and director of Heyday’s Indian Programs (The Heyday Roundhouse), Lindsie is in constant touch with contemporary Indian writers, artists, scholars, leaders, and cultural activists. She will talk about the challenges of “getting the story right” in a world in which there are so many ways of being Indian. Vincent Medina (Ohlone), will discuss the future. A young man, Vincent has relearned his native Chochenyo Ohlone language and is teaching it to others. He is active in a variety of cultural pursuits. He will talk about his work in reviving the past and his hopes for the future. Joanne Campbell (Coast Miwok), is going to discuss the cultural history of native people, revitalizing the language and life ways and what being Indian means as we go forward into the future. She has served as a member of the Graton Rancheria Tribal Council. This class is a core class in the California Indian Studies certificate program. To enroll or for more information, visit the Community Education class page or telephone 415-485-9305. 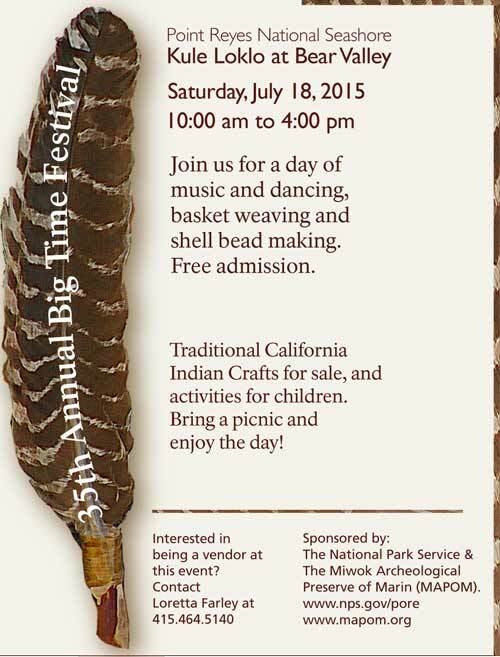 Kule Loklo’s 35th Annual Big Time Festival is next month on July 18, 2015: Make sure to put this on your list for Summer events. Big Time is the main cultural event each year at Kule Loklo in the Point Reyes National Seashore Park. It will feature Pomo Indian dancing, traditional skills demonstrations, and many vendors. There will be a memorial service for Mary Collier on Sunday April 13, 2014, at noon at the Muir Beach Community Center at 19 Seascape, off of Highway 1. Mary was a past president of MAPOM and was active in MAPOM beginning in 1974. Mary was crucial in gaining access to the Kelly papers, and was a co-editor with Sylvia Thalman of Interviews with Tom Smith and Maria Copa. She was beloved and admired by all. Her husband, John Collier was a visual anthropologist and her father-in-law was famous as head of the BIA (Bureau of Indian Affairs). This year, MAPOM will once again be at the Marin Show – Art of the Americas in San Rafael. It is the largest show of early California Indian art in the nation and includes antique California Indian baskets, pottery, bead work, rugs and many other items for sale. Contemporary Native American art will be featured in a separate part of the show, just across the foot bridge from the Marin Center, at the Embassy Suites Hotel. The MAPOM table at the Marin Show will have a large selection of excellent California Indian books and information on the classes we offer. MAPOM board members will be at the table throughout the show. We’d love to meet you. Please stop by our table. Admission is $15 per person. This admits you into both the antique and contemporary shows. You can learn more about the 30th annual Marin Show at www.marinshow.com. The Marin Show – Art of the Americans will be held at the Marin Center, 10 Avenue of the Americas on February 22- 23, 2014 from 10 to 6 on the 22nd and 11 to 5 on the 23rd..
Betty Goerke’s new book Discovering Native People at Point Reyes is now available from MAPOM for $13.00. This engaging story of the Coast Miwok people has a twofold purpose: to explain the natural history, cultural lifeways, and history of native life at Point Reyes and Tomales Bay from the time of Francis Drake’s arrival to the acknowledgment of the tribe by the US Government in 2000; and to suggest nine specific walks in the area which have been meaningful destinations for tribal people for thousands of years. It includes information and photographs never before published, and is illustrated with over 75 photographs, most of them in color. Betty is a MAPOM co-founder and board member, a trustee of the Museum of the American Indian, and has taught anthropology and archeology at College of Marin for over 35 years. You can order this and other publications on MAPOM’s publications page mapom.com/publications.html.